Church should teach the big story of God's love, and help us find our place in it. That includes kids and youth. For children, we provide hands-on, engaging lessons that teach the Bible. And we show them they are valued by giving them time during the service to talk directly to the pastor, and be prayed for. On Sundays we invite children ages 0-2 to our supervised nursery. Parents sign their children in prior to the service. Parents are also welcome to keep their children with them in the service. 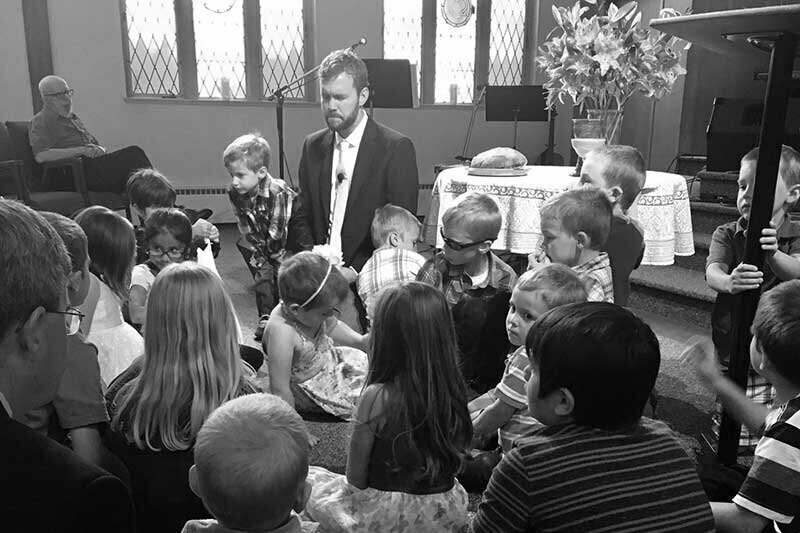 Before the sermon, children 3 years to 5th grade are invited to the front of the sanctuary for a brief discussion with the pastor and prayer. Then they are dismissed for worship in age-appropriate classes. Children are also welcome to remain with their parents. Youth meet with our youth leader, Ian Kessler, for Bible study every other Sunday during the sermon. They also get together for service trips, events, and hanging out.